eight - three = ? Can be wiped off on glossy surfaces with wet tissue. 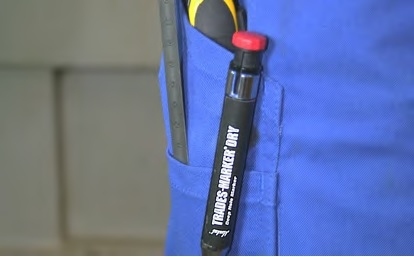 Marks and writes on all materials + surfaces also on dusty, rough, oily, wet and dark surfaces. Marks resistant to torch flames; will not rub off or burn off like soapstone. 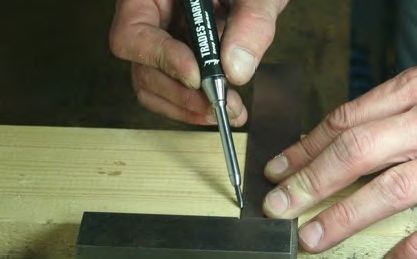 Highly visible marks illuminate when cutting or welding. 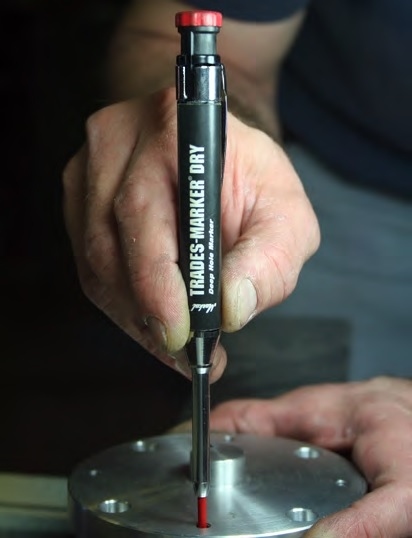 Durable marks will not scratch or abrade metal surfaces.